New Zealand’s Black Caps skipper Kane Williamson said the middle-order batsman Colin Munro is expected in the top three slots to take on India in the forthcoming T20I series, beginning February 6. Wellington [New Zealand]: New Zealand’s Black Caps skipper Kane Williamson said the middle-order batsman Colin Munro is expected in the top three slots to take on India in the forthcoming T20I series, beginning February 6. Opening batsman Martin Guptill picked up a back injury during fielding practice. He has returned to Auckland for rest and recuperation, make way for seam-bowling allrounder Jimmy Neesham in the squad. “Martin [Guptill] is ruled out of the series and we have a different squad altogether with some new faces. We want to balance with number of allrounders which will affect the positions. Munro is expected in the top three,” Williamson told reporters. India defeated Black Caps by 4-1 in the ODI series, concluded on February 3. Having less time to switch over to shortest format, Williamson said it is always a challenge but one needs to make adjustments and set their mindset. “It is always a challenge whether that is from Test to one-day or T20 or whichever sort of equation. It requires adjustments and mindset whether you have more or less time because it is T20I cricket. As an individual whether it is bowling or batting you need to drown in the depth nice and quick. It is nice to have the experience on the pitch. Ladies will play first so we will try to project in the middle. We are playing after them so it should be a great evening of cricket here, Black Caps skipper said. 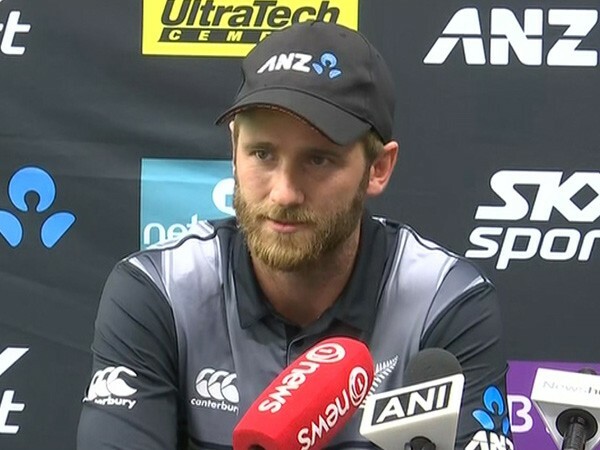 With the World Cup around the corner, Williamson pointed out that the T20I series will be another great opportunity to play international cricket against a very strong opposition India. “I think any time you get the opportunity to have those experiences; they are always very good ones. It is a positive thing that a number of guys are getting opportunity to have those experiences against fantastic Indian side. India are competitive and they will be, I am sure, in World Cup as well. All those who are involved no doubt will learn a lot. We just want to try and get the things right in terms of executing our plans. We want to make a step up little bit and hope will build on,” Williamson said. India Men and Women will face New Zealand’s Black Caps and White Ferns on the same day in a T20I double-header.